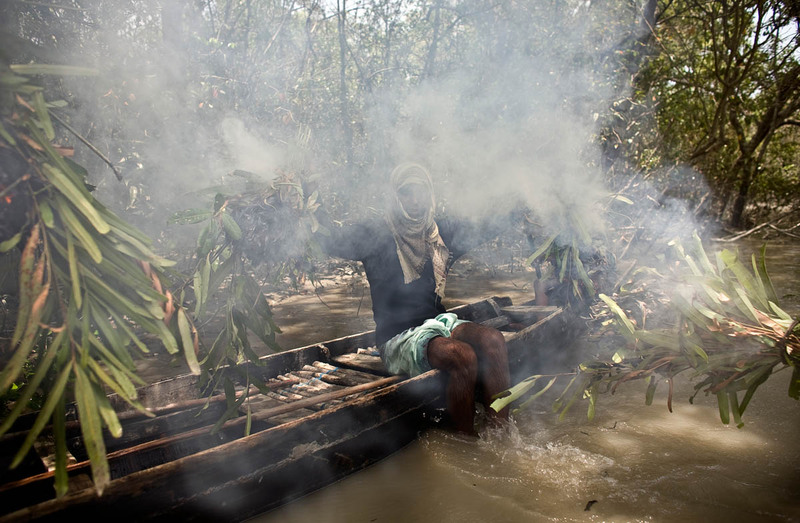 Men light a smoke emitting torch to ward off bees as they hunt for honey in the Sunderbans. Honey hunting is one of the most high-risk jobs in Bangaldesh. Every year 15-20 honey hunters are attacked and killed by tigers. The hunters can the earn the same amount in eight weeks as they would normally make in six months.